Two police officers kicked and punched a handcuffed man in his face while he was on the ground, a misconduct hearing heard today. PC David Quayle, who is based at Durrington and Crawley PC Steven Morris could be dismissed if the allegations are proven. The pair denied that force they used in restraining the man was disproportionate and unnecessary. Outlining the case against the officers, Solicitor Martin Forshaw said: “The force used by Constable Morris and Constable Quayle to restrain the man was excessive and in breach of the professional standards. The hearing began today at the headquarters of the Sussex Police and Crime Commissioner in Lewes. Outlining Sussex Police’s case against the officers, Mr Forshaw said the incident happened on January 2, 2015 in High Street, Steyning. He told the panel that at 9.45pm a call was made to Sussex Police by a member of staff at Steyning High street, who reported that a male had punched the driver of a car. PC Quayle and PC Morris attended the scene, and PC Morris subsequently arrested a man for being drunk and disorderly. He handcuffed him with his hands behind his back and put him in their police car. Mr Forshaw said: “They set off to drive to the custody centre in Worthing. During the journey, PC Quayle says he was spat at by the man and sought to restrain him in a headlock, the hearing heard. PC Morris stopped the car and got out, then opened the door and pulled the man out of the car, Mr Forshaw said. What happened after the man exited the car is disputed, Mr Forshaw told the panel. He told the panel that the man’s GP recorded that he had a black eye and was complaining of sore ribs when the man visited later that week. According to Sussex Police, PC Morris is accused of taking him to the ground on two occasions, causing him to hit his face on the ground. He also allegedly punched and kicked him whilst he was face down on the ground, including to the head and face, and placed his knee into his back and held his head down whilst he was lying on the ground. Finally he is accused of continuing to hold the man in a ground pin after he had been captor sprayed, in breach of Sussex Police’s policy and training. Captor spray is an incapacitant spray used by police that is similar to pepper spray. PC Quayle faces is accused of kicking and punching the man whilst he was face down on the ground, including to the head and face. He also allegedly placed his knee into his back and held his head down whilst he was lying on the ground. Finally it is alleged that his use of captor spray was excessive and in breach of Sussex Police’s policy and the training he had received. The alleged victim was never found guilty of being drunk and disorderly in relation to the incident. If the allegations are proven, the panel must then decide if the officers’s actions amounted to gross misconduct. The hearing continues. 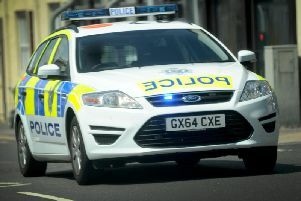 For more Worthing crime news, click here.